First, we are in a new and dangerous nuclear era with outdated nuclear policies and an increasing risk of nuclear use. Second, in this new era of nine nuclear armed nations, reliance on nuclear weapons for security is becoming increasingly hazardous and decreasingly effective, as a deterrent to prevent war. Third, U.S. leadership and new approaches are required to protect our security. We need to take practical steps with other nations that reduce nuclear risks now and build the essential foundation to ultimately eliminate end them as a threat to the world. In our five essays, we outlined a series of steps urgently needed today, as well as longer range goals. This policy framework was initially adopted by both Republican and Democratic candidates for President in 2008. In 2009, President Obama in his Prague speech, as well as the UN Security Council later that year by unanimous vote – including Russia, China, France, the UK and the U.S. – called for steps to make this world safer for all and to create the conditions for a world without nuclear weapons. This was encouraging. The New START agreement provides a new and legally-binding framework for reductions and verification of U.S. and Russian strategic nuclear forces, an essential component of strategic stability. The Nuclear Security Summits, led by President Obama, have contributed to significant reductions in the number of countries with weapons-usable materials that could be used to build nuclear bombs. We have gone from 50 countries to 24 countries in the last 25 years. The recent nuclear agreement with Iran is a significant step forward in preventing Iran from acquiring a nuclear weapon and a cascade of nuclear proliferation in the Middle East. It is not a permanent guarantee, but it does buy very valuable time, if successfully implemented. U.S and Russian nuclear cuts are stalled and other nuclear nations are reluctant to join in arms control reductions – pointing out that the U.S. and Russia still control roughly 90 percent of global nuclear inventories. The U.S. and Russia still deploy thousands of nuclear weapons ready to launch on a moment’s notice, increasing the risk of a catastrophic accident or miscalculation based on false warning. Hundreds of U.S. and thousands of Russian short-range nuclear weapons, inviting targets for terrorists, remain deployed or stored in Europe. The comprehensive treaty banning nuclear tests remains unratified by a number of nations, including the U.S.
Nearly 2,000 metric tons of highly enriched uranium and plutonium are spread across facilities in 24 countries, and no global system exists for tracking, accounting for, managing and securing these materials, including materials under military control, which is 83% of the total. The good news, as we move to the final Nuclear Security Summit under President Obama’s leadership, is that we have moved from 32 countries to 24 nations retaining weapons usable material over the last six years. Clearly, the pace of work on these crucial risk-reduction steps does not match the urgency of the global threat. The world’s efforts remain inadequate to the danger. Russia’s annexation of Crimea and support for separatists is violating its commitment to respect Ukraine’s sovereignty and territorial integrity when Ukraine gave up its nuclear weapons in the 1990s. Washington believes Moscow is violating the Intermediate-Range Nuclear Forces Treaty, and Russia has its own allegations of U.S. violations. European Union countries are facing new security challenges generated by the Syrian tragedy and open borders, and the Eurozone struggles to maintain unity. Islamic State extremists are threatening states and borders in pursuit of a caliphate stretching across the Middle East. They are claiming a dirty bomb capability. Tensions between China and other nations in Asia, including U.S. allies, undermine regional stability. In the nuclear arena, states with nuclear arms have front-burner plans to modernize their forces. Former Secretary of Defense, Bill Perry recently warned that the U.S. and Russia are on the verge of a new nuclear arms race. Nuclear programs and capabilities continue in unstable countries and volatile regions, while regional conflicts that give rise to new nuclear powers persist. 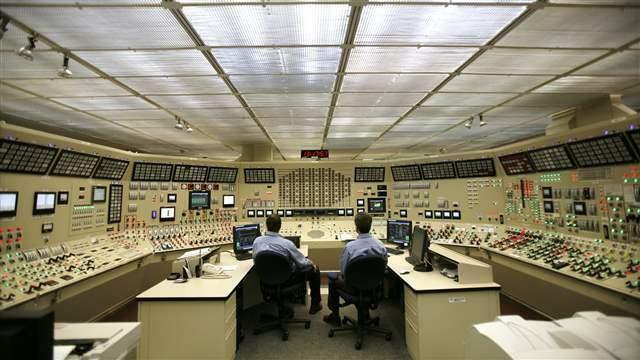 Cyber-related threats loom large, highlighting risks to nuclear facilities, command and control systems and warning systems as well as U.S. infrastructure, both private and public. Most importantly, world leaders must recognize that we are in a new era. Nation states no longer have a monopoly on weapons of mass destruction or disruption, including nuclear, radiological, chemical, biological as well as cyber. The world is in a race between cooperation and catastrophe. Some relationships are vital. As the two countries with more than 90% of the world’s nuclear inventories, the United States and Russia have a unique role to play. Trust between our two nations has severely eroded. One of my Russian friends who is a defense expert recently posed a powerful question: Could President Obama and President Putin today make the statement that was jointly made by former Presidents Reagan and Gorbachev that a nuclear war cannot be won and must never be fought? I was in Moscow a couple of weeks ago and discussed with Russians there and Americans back here a few of my own suggestions. Let me cite a few. First, we need to begin with how we talk to, and about, each other. Prominent leaders must realize that reckless rhetoric creates an atmosphere that could lead to dangerous misunderstandings and miscalculations, including throughout the military chain of command. As Henry Kissinger reminded us recently, “the fate of U.S. and Russia remain tightly intertwined.” Every day, 24/7, our two nations have an existential stake in command and control and warning systems, in both our nations, that work properly with competent human leadership. Second, we must revive and strengthen channels of communication. We can no longer afford to treat dialogue as a bargaining chip. You upset us and we will punish you by not talking is not a sound strategy for two countries that control 90% of the world’s nuclear weapons and materials. As part of this continuous dialogue, the United States, NATO and Russia should expand mechanisms that reduce the chances of military misunderstandings between us. Last year’s events in Turkey related to the unfortunate shoot-down of the Russian jet serve as a powerful wake-up call that we need to reduce the chances of accidental encounters between NATO aircraft and Russian aircraft as well as ships at sea. Third, effective trust on reducing nuclear risks is not likely when the U.S. and Russia remain postured for mutually assured destruction in a few brief minutes. If leaders fail to see and act on this continued danger, Washington and Moscow will remain trapped in a costly and risky nuclear posture—and other nations may follow, making probable that Hiroshima and Nagasaki are not the last cities to suffer a nuclear attack. Washington and Moscow must find a way to work together to lower prompt- launch threats, reducing first strike capabilities, improving the survivability of forces and increasing warning and decision time for leaders. In spite of recent tensions, we should determine if there is a basis for restarting serious discussions with Moscow under this framework. Reducing the number of weapons is important, but only one factor, in overall stability. Fourth, President Obama will host a final Nuclear Security Summit next week. This is an important opportunity and obligation to build on the progress made at the first three summits to secure weapons-usable materials. Leaders must find a way to sustain this effort after President Obama leaves office. The world must develop a global nuclear security system that covers all weapons-usable nuclear materials, including those held for military purposes. 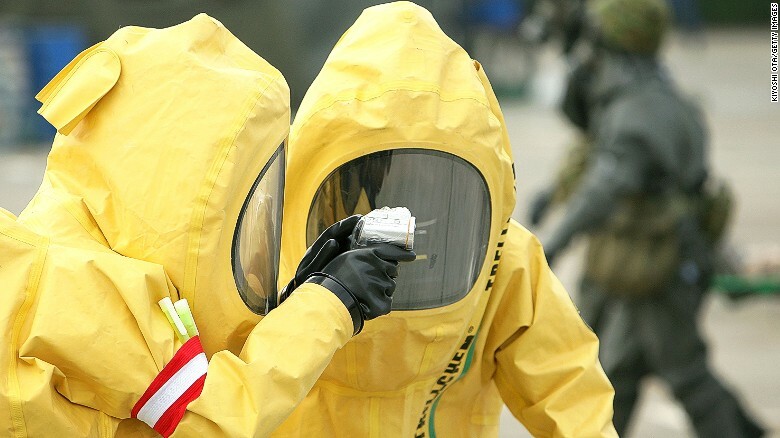 We must minimize the risk of nuclear terrorism posed by these materials through actions to reduce and consolidate material, and, where possible, eliminate them. 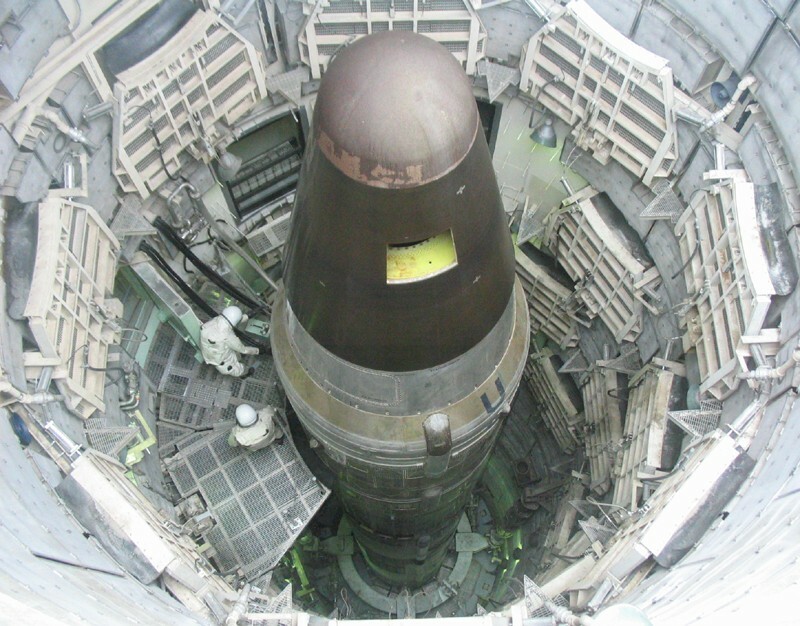 Fifth, the President and the Congress are facing serious questions about the size and capabilities of the U.S. nuclear deterrent. Leaders must identify tradeoffs between paying to maintain and modernize our current nuclear deterrent at an estimated 30 year cost of $1 trillion against investing in other essential defense requirements. Ignoring these tradeoffs, or resorting to budgetary slights of hand, threatens our non-nuclear defense capabilities over time. The question “how much nuclear is enough” with respect to the strategic triad as well as tactical nuclear weapons must be asked and answered and linked to our overall defense needs, including conventional capabilities. Former Secretary of Defense Bill Perry has called for a national discussion and debate on this subject, including whether we should phase out our land-based missiles. I believe that these important questions Bill raises must be addressed by both the Administration and Congress. Sixth and most immediately, the United States and Russia must work together in the fight against ISIS and violent extremism. The threat posed by ISIS directly affects the core national interests of both our countries. In particular, Russia and the United States must work together to ensure that ISIS or any other violent extremist group never acquires nuclear or radiological weapons, as well as other weapons of mass destruction. Our two countries have the technical expertise and unique knowledge to lead this effort. We have been doing such work in our own countries, and together, for two decades under the Nunn-Lugar program. This mission seems to me to fit well under the legal framework of UN Security Council Resolution 1540 as well as the Global Initiative to Combat Nuclear Terrorism. Most importantly, a joint working group must be formed and must lead by developing a prioritized list of actions that we can take together to prevent catastrophic terrorism. This is urgent and must be a front burner issue with others joining the effort. Large amounts of radiological materials are in areas of central and southwest Asia. Finally, when we do work together, as we did recently with the Iran agreement, we must both learn to express our appreciation publicly so that political leaders, the media, as well as ordinary citizens of both of our countries recognize not just disagreements and confrontations—the case today, but also points of mutual interest and areas of success. I consider the goal of ultimately getting rid of nuclear weapons like climbing to the top of a very tall mountain. We can’t see the top, but we can see we are now heading down. We must turn around – and others must join us as we move together to higher ground. In our world of turmoil, terrorism and distrust there are many who believe the mountain is too high and the fog too thick. Many who are complacent argue that we’ve avoided nuclear catastrophe for more than a half-century, so we might as well just keep doing what we’ve been doing. It is human nature to resist change. The status quo often feels safer than change. But the nuclear status quo is a mirage. And the nuclear danger is either going to increase or be reduced—depending on what we do. I recharge my batteries frequently by asking myself two questions: If a nuclear disaster occurs—what would we wish we had done to prevent it? Why don’t we do it now?